BULAWAYO Provincial Affairs Minister Judith Ncube yesterday said police have started investigating allegations that there was a third force behind the looting of business premises in the city in last week's opposition mayhem. The Minister said there was a group of people who allegedly broke into business premises but did not participate in the looting spree. 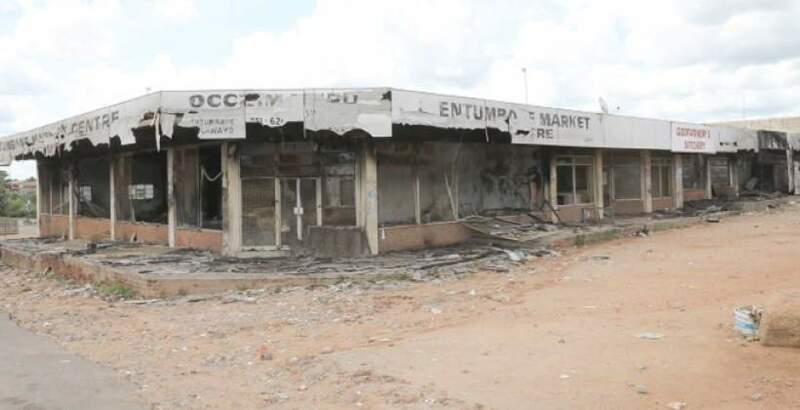 Most shops in western suburbs were emptied by looters who also destroyed property worth millions of dollars during a three day stay away called by the Zimbabwe Congress of Trade Unions. Details emerging from residents are that there was group of people who allegedly moved around breaking into shops and encouraging residents to loot. Ncube said residents who might have information on those who moved around breaking into shops should inform the police. "Investigations on the matter are already in progress. I'm happy that some of the people have started providing the police with information. Those with this information may they please approach the police so that police can investigate the cases, because what happened is uncalled for," said Ncube. During a tour of shops that were looted and destroyed in Bulawayo, Industry and Commerce Minister Nqobizitha Mangaliso Ndlovu on Sunday said the looting shows that it was planned. "Looking at the nature of destruction, particularly Choppies Supermarkets, it is quite clear that it was not random looting, but it was planned and we also noted that some chemicals were used to burn these shops and certainly this requires further investigations. Most of our people just got into the bandwagon without knowing that this was planned arson and precisely this is terrorism," said Minister Ndlovu. Bulawayo United Residents' Association (BURA) chairman Mr Winos Dube said the residents' body has also been notified of people who were instigating the looting. "We have been told that there were some groups that were opening up shops before instructing people to start looting. As BURA we don't condone looting and violence among our people. We believe in engagement; we don't advocate for confrontational approach," said Mr Dube. He said those who were involved in looting should help authorities in identifying the suspects. Bulawayo Progressive Residents Association (BUPRA) coordinator Mr Emmanuel Ndlovu said most residents were paying the price for being led into doing something they never intended to do. "We've spoken to some affected business people who have told us that there are some people who were breaking into shops before encouraging residents to start looting. We still don't understand the motive behind their actions. Some of them were just tampering with the Closed Circuit Television (CCTV) security system before telling people to start raiding shops. If they were not looting, what was their motive behind breaking into business premises?" said Mr Ndlovu.